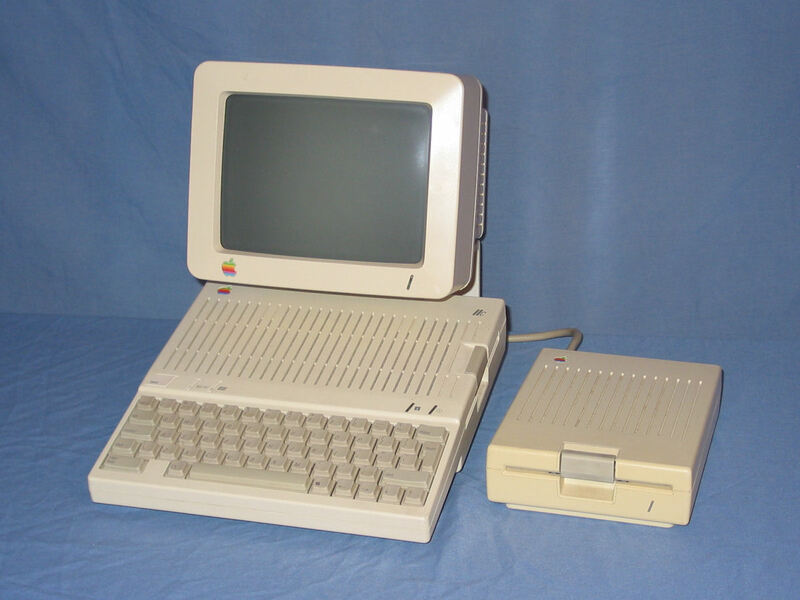 "Introduced in April of 1984, the Apple IIc was the first compact Apple II. 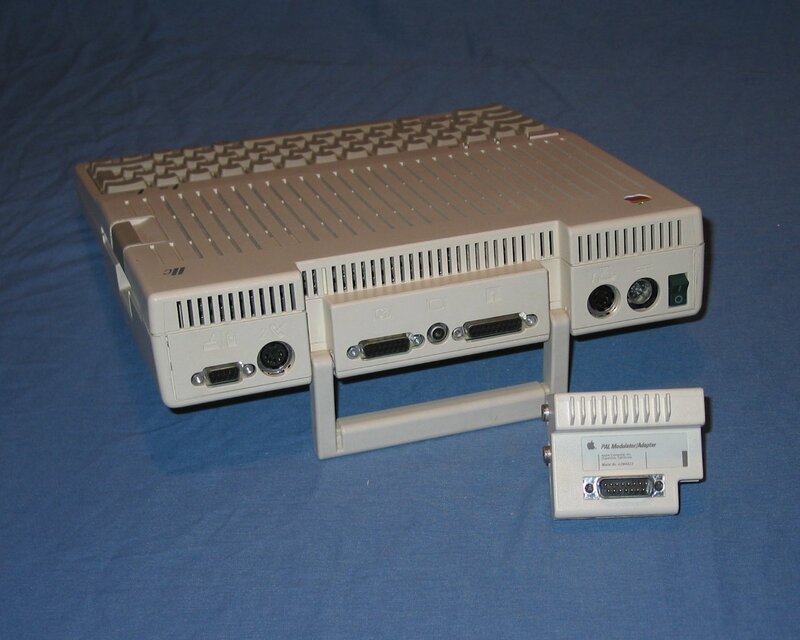 It came in a small white case, and was built around an enhanced 65C02 processor, running at 1.4 MHz. 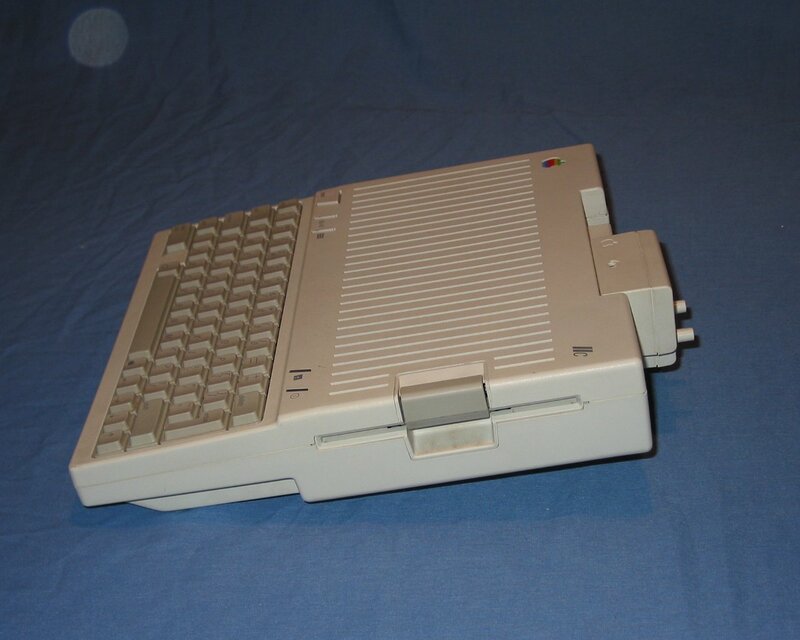 It had 128k RAM, (expandable to 1 MB) a built-in 5.25" floppy drive on the side, and could be used with a mouse. The Apple IIc+ was introduced in 1988, with a 4 MHz 65C02, RAM expandable to over 1MB, a larger ROM, and an optional internal 800k 3.5" drive. 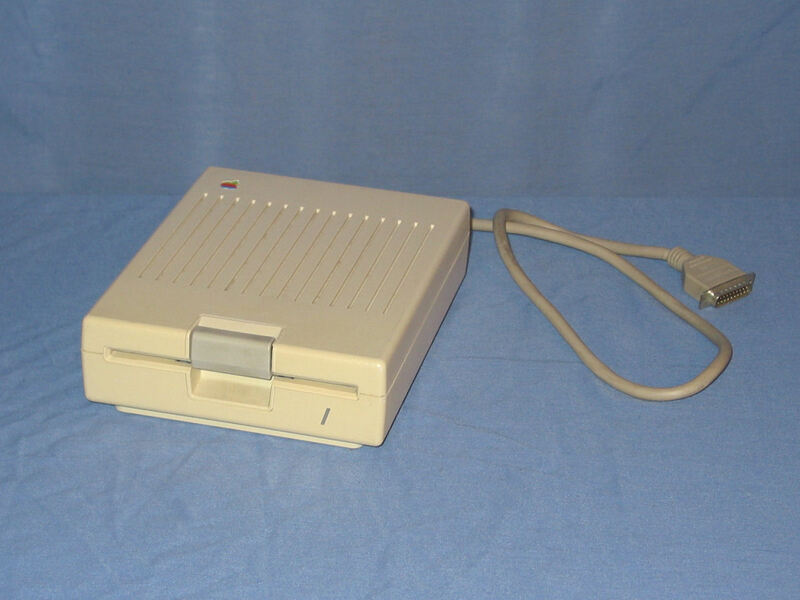 The Apple IIc+ was discontinued in November of 1990." 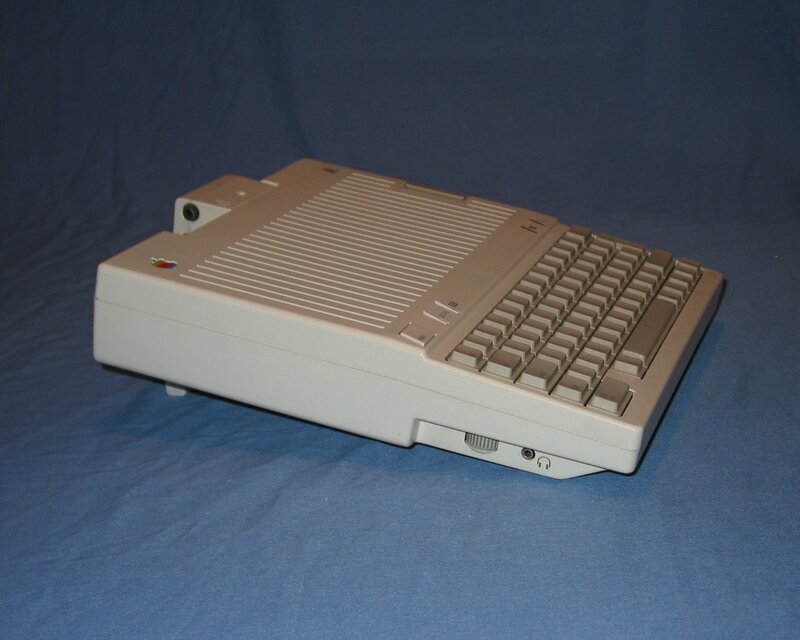 A second IIc was purchased from the US via eBay in mid 2005 for the sole purpose of obtaining a Disk IIc, the matching external floppy disk drive. Ironicaly I obtained another Disk IIc a few month later from a local seller. A complete IIc system including the extreemly rare (in Australia at least) Disk IIc. Viewed from the rear it can be seen how the handle acts as a stand and the system unit sits inside the monitor stand. 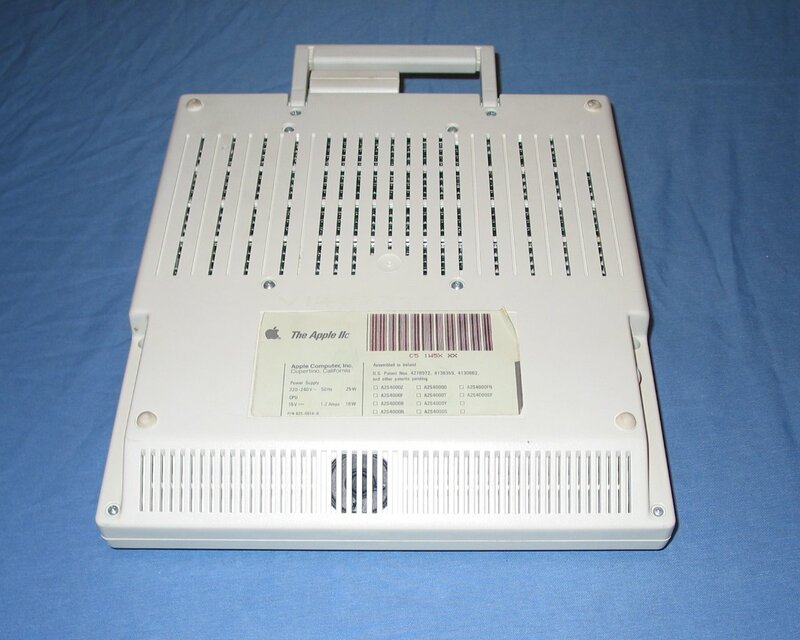 The rear of the system unit with the PAL modulator attached. From left are: joystick/mouse port, modem (serial 2) port, PAL modulator, floppy disk port, printer (serial 1) port, power input, and power switch. Removing the PAL modulator exposes the colour display output and the monochrome dispay output. The PAL modulator utilises the colour signals to generate a composite TV signal as well as reproducing the monochrome signal (that connector is blocked by the modulator). Located on the right side of the unit is the built in 5.25" floppy disk drive. Above the keyboard on this side are the power and disk activity lights. The left side of the unit features a headphone socket and a volume control towards the front. The buttons above the keyboard are the reset button, to toggle between 80 and 40 columns and to toggle between Dvorak and Qwerty keyboard layouts. An overview shot of the system unit from the front. The underside of the system unit contains the identification label. The small speaker is also visible towards the front. 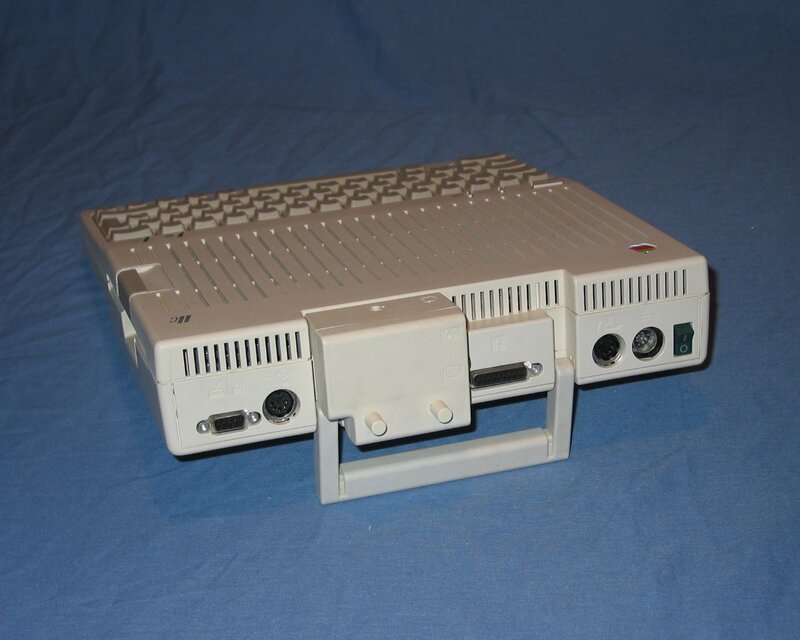 A Disk IIc, the matching external floppy disk drive. 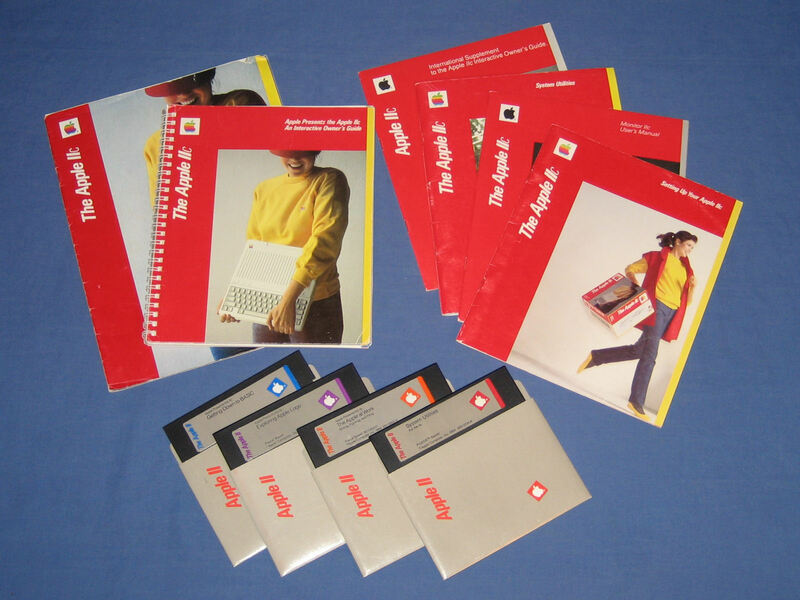 A selection of Apple IIc manuals and software diskettes. 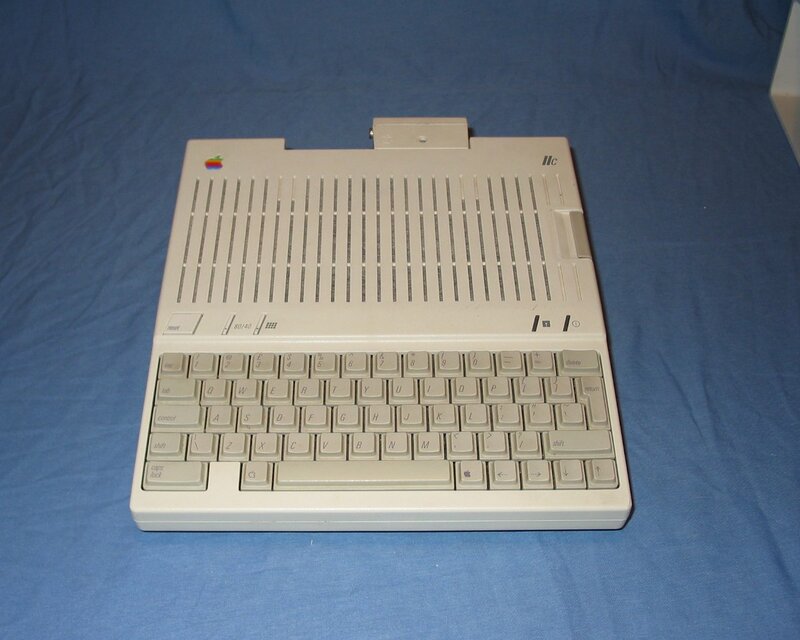 "On Thursday night, Kathryn and I unboxed my latest Ebay acquisition: an Apple //c. There are many vintage Apple II computers available for auction, but this one is special: It's never been opened. Ever." "Thanks Michael Miller for this excellent Apple IIc with rare Apple flat panel LCD monitor"
"Thanks to Ed Goodwin formerly of Apple engineering support for this wonderful Apple IIc prototype (pre-production) unit plus docs/software and the nifty "red briefcase" marketing launch materials"
"The Golden Age of Computer Sales surely must have been Christmas 1984. The Macintosh had just been released, Compaq and IBM offered powerful new CPUs, but the real action was a massive Christmas sales battle between the Apple//c and the IBM PCjr." Exactly What Do You Mean By "Portable"? 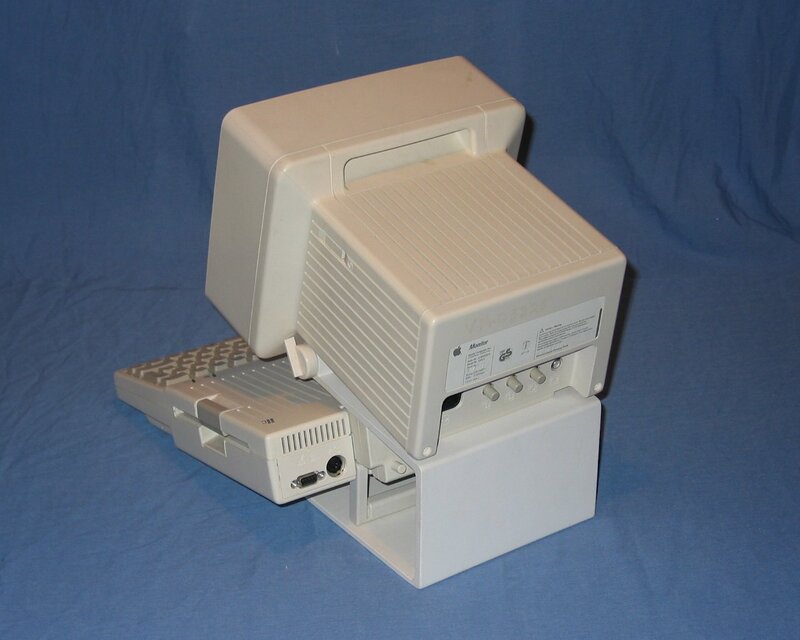 "The notion of setting up an Apple //c system to have in my office hit me recently. A little eBay digging and I put together an excellent condition..."